Lose the Brass to Sell your Home! by kathyregini | Comments Off on Lose the Brass to Sell your Home! Popular in the 80’s and 90’s, builders put shiny brass everywhere. Door knobs, light fixtures, bathrooms. It was in style and it was cheap. Now, brass just detracts from your home’s resale value. 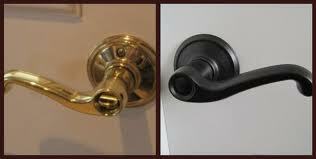 If at all possible, replace as much of it as you can with brushed nickel or oil rubbed bronze before you place your home on the market. If you don’t have the time or money, at least replace the brass front door lockset and any big brass light fixtures on the inside of the home. The more you can remove, the better! 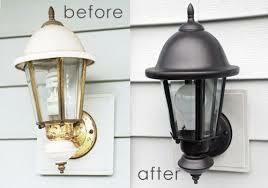 If you are on a tight budget, light fixtures can even be spray painted in pewter, silver or black colors.